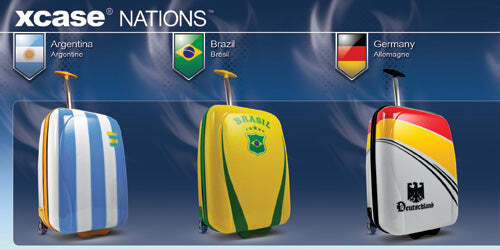 The xcase® Nations™ adds a flair of national pride to the accredited design of the original xcase® - the World's Lightest Carry-on. 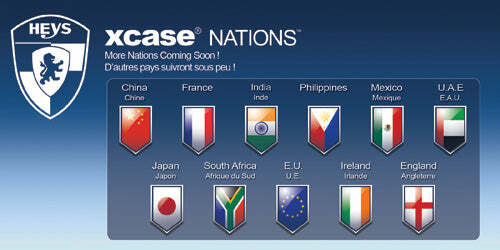 12 unique & creative xcase® Nations™ prints have been designed as a part of this series including Canada, Argentina, Brazil, Germany, Greece, Italy, Poland, Portugal, Russia, South Korea, Spain, & the United Kingdom. 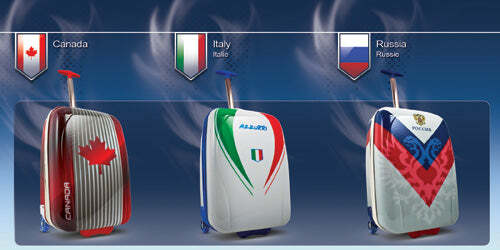 The luggage prints are protected by a layer of clear coat paint that also gives it a beautiful glossy shine. 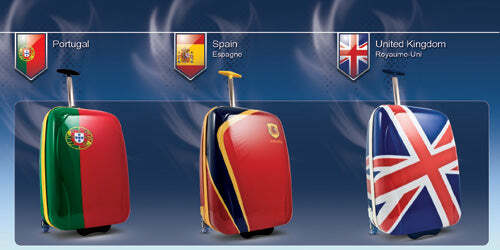 Each luggage has been uniquely designed to represent the culture, the people and the unity of one Nation. 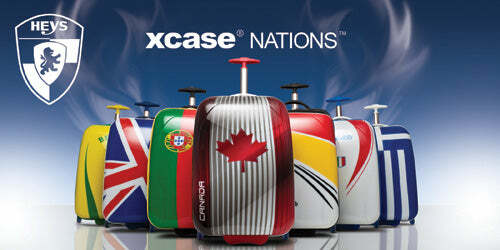 With the xcase Nations, Heys celebrates the multi-cultural heritage that makes Canada a part of us all! 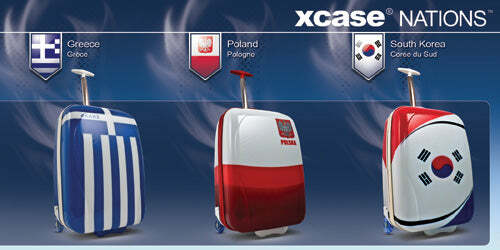 The xcase® Nations™ comes with a curved telescopic handle system. The curvature of the handle system increases the distance between your feet and the xcase to eliminate the annoying 'back-kick' problem; where your back heel comes in contact with your carry-on behind you while walking. The telescopic handle tube is made from lightweight aluminum to keep the overall weight reduced, but it has a unique cross-section shape of an ellipse to enhance its structural integrity and strength. 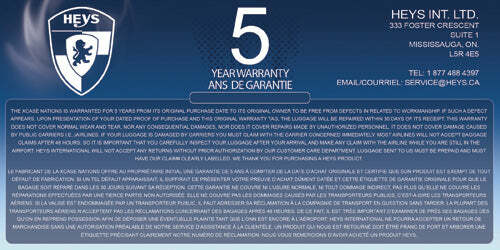 Even the top T-bar handle is designed to be a 'One-Handed' open and close operation. The push-button is positioned to be in your thumbs natural location when holding the T-bar, this is to easily facilitate the handle release and retraction so that your other hand is conveniently free to carry other bags or perform other tasks.